Walden Ridge (Mooresville – $450k to $900k)If you are interested in viewing current available listings for any of these communities or a community of your choice please contact me (Craig LePage, Broker / Realtor) at 704-618-2412 or email me by using the link below. The 24 home sites have been divided between 3 of the North Charlotte / Lake Norman areas leading Custom / Luxury Home builders. 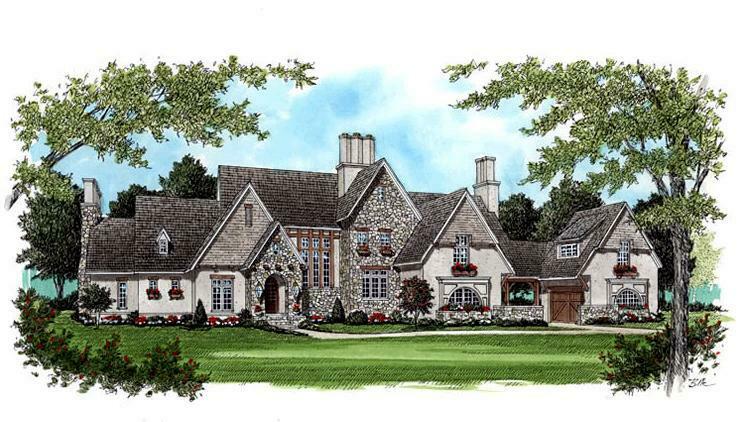 Simonini Custom Homes, Tom Stevenson Builders and Augusta Homes are the preferred builders for the project. When moving to a new area one of the most important things people ask about are the quality of the schools in the area. I have put together a web link for people interested in the schools in the Charlotte and Lake Norman areas. Below you will find each of the surrounding counties, the towns within them and the school score for each school. After you make you decision of were you would like to begin your home search visit the Home Search Link at the bottom of the page for further assistance. Click on the link and search for the Schools in your area of choice. As one of the leading Realtors on the Internet serving the Lake Norman area I continue to get inquiry after inquiry about the rapid residential development in the area. The latest area of popularity has been the town of Denver located on the southwest side of the lake. With the newly built route 16 well on its way, this side of the lake is now just as convenient as Huntersville and Cornelius when it come to commuting into downtown Charlotte. Out of the many new communities popping out of the ground, a new community by the name of Cobblestone is making waves. 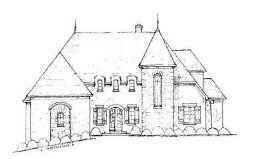 Cobblestone is a new custom home community / Enclave in beautiful Denver North Carolina. Denver is located just 20 minutes from downtown Charlotte this lake side town is quickly becoming one of the hottest spots around Lake Norman to own a home. Cobblestone is one of the newest developments in the area and will consist of 28 custom homes. The feature builder of the community is Mid-Atlantic Custom Builders which are best known for their work in the Walden Ridge and Watertree Landing Communitiesin Mooresville. Homes will range from 4000 to just over 5000 square feet and sit on lots around an acre in size. Speculative homes are already being built in both French Provincial and Transitional style are are ready for viewing. Mid-Atlantic Custom Builders has never cut corners with their homes and these will be no different. Beautiful Granite counter-tops throughout, custom stone fireplaces, upgraded gourmet kitchens, real wood floors, Wrought Iron Bannister’s, 12 foot ceilings, In-Ground Irrigation, Screened in Porches, Spectacular Master Bedrooms and Breathtaking Master Baths with Garden Tubs and Walkaround Showers.You would seriously think these the French Provincial Style homes would be priced up around 1 million dollars but that is far from the case. Homes are priced in the low to high $600’s. They are truly worth checking out. In addition to top notch home design and craftsmanship Cobblestone offers a peaceful environment that is just minutes from fun at Lake Norman and a quick commute to Charlotte using the new highway NC 16. This newly opened highway 16 is just minutes away and will surely help build equity in these new homes in years to come. The development of the Cobblestone Community was carefully thought out with convenience in mind. You are just 40 minutes from the mountains, 20 minutes from Charlotte, minutes from the lake and just 3 hours from the beach. What else could you ask for in a location. The lakeside town of Denver, NC has quickly become the latest hot spot for people looking to relocate to the Lake Norman area. It’s prime location has made it a focal point for builders to build and for families to relocate to the area. The newly built highway 16 has made the commute from Denver to downtown Charlotte a short 25 minute+ drive. Other essential business’ and newly built communities have been popping up everywhere you look.One of the nicest and newest communities to recently break ground is the Cobblestone Community located off Burris Road. This new 26 home community/enclave is where you will find some of the nicest homes in all of Denver. 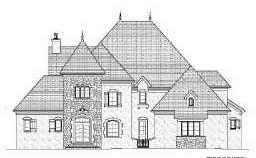 The home styles reflect both the Transitional and French Provincial styles and will sit on large lots of one acre or larger. Other home features you will find at Cobblestone include 9″ to 10′ ceilings, hardwoods, granite, ceramic tile and beautiful bronze windows. You will also find loads of space in these homes which average about 5,000 square feet. Some floor plans will include finished basements with second kitchen. Cedar wood garage doors & shutters compliment many of the Cobblestone home plans which will be finished in brick, brick/stucco or stucco and stone.For further information about the Cobblestone Community in the Lake Norman area contact Home Specialist, Broker, Realtor, Craig LePage at 704-618-2412. Email me at EMAIL ADDRESS .Feel free to subscribe to this Lake Norman real estate information site for future information about Lake Norman Real Estate and area land development. Subscribe above……. View over 40,000 MLS listings in the Lake Norman and Charlotte, NC area. Serving the Charlotte area with a focus on the surrounding Lake Norman cities of Mooresville, Huntersville, Davidson, Denver and Cornelius. The median home price for the Lake Norman area is about $228,000. With North Carolina being one of the strongest growing states in the country, the Charlotte Lake Norman market ranks among the best in the state. Single family homes range from $120,000 to as high as $5 million in some of the exclusive neighborhoods on the lake. There are endless numbers of new home communities popping up everywhere you look. Last I looked 36 new people move to the Charlotte area every day. You can definitly see that with all of the residential and commercial growth going on. If you drive down a road that you have not driven down in a month or two it is not uncommon to see multiple new buildings going up right before your eyes. Why wouldn’t everyone want to move here? It is a great place to live. It is well worth checking out. If you would like additional information about the Lake Norman or Charlotte area please contact: Craig LePage, Realtor, Broker and Lake Norman Home Specialist or email me at EMAIL ADDRESS .